The Stability, durability and cost effectiveness of engineering projects such as Dams, Tunnels, Bridges, Roads, hydal power sites, Scientific and Strategic establishments and buildings are invariably related to the terrain geomorphology as well as subsurface geological parameters. It is therefore essential that the person concerned with the construction work should have beforehand knowledge of the strata through which construction works are to be carried out. Proper investigation, interpretation and analyses of geological parameters of the construction site holds the key for the success of an engineering structure in terms of economy and its durability. India is one of the few countries in the world that appreciated the value of applying geological principles to engineering problems as early as in the second half of the 19th century. In the case of applications of geology to the selection of dam sites, this happened about fifty years earlier than in western nations (Reddy, 1995). Thomas Oldham (1852) was the first to analyse the geological factors influencing the choice of the proposed railway alignment between Calcutta and Patna, a distance of 500 Kms. Thomas Holland, in 1884, analysed the causes of the land slides in the Birehi Ganga valley, Himachal Pradesh. Major engineering projects for water storage and utilizations were constructed in India in the 19th century and geological principles were taken into account by the construction engineers( Balasundaram and Rao, 1972). The geotechnical knowledge played a key role in the successful completion of major engineering projects in India. Bhakra Nangal Dam is a very good Indian example in which, geological considerations at the time of construction were taken care off, which played a vital role in its stability and durability. Bhakra Nangal Dam is a straight high gravity Dam founded on the soft rocks and medium hard rocks belonging to Siwalik supergroup, with fault zones cutting across the foundations and abutment in different attitudes ( Krishnaswami, 1982). The preventive measures carried out comprised excavation of the heel clay stones and excavations of the spillway apron, which was tied down to the sandstone member overlying the downstream claystone band to prevent erosion. Beside these special treatments, the cross shear zones on the abutments were treated by providing concrete tunnel plugs and the entire foundation area of the Dam was grouted. Grouting and drainage curtains were further provided from foundation galleries in the Dam and through drainage and grouting, tunnels were provided in the abutments. No major problems have been faced during the post construction period of the Dam, except for cracks in the upstream (Reddy, 1995). There are cases in which the post failure studies have revealed that ignorance of geological conditions that existed in and around these structures, were basically responsible for such failures. Dams constructed without taking geological factors of the region into account have resulted into their failure, leading to large-scale damage. Austin Dam ( Texas, U S A) is a classical example of Dam failure due to ignorance of geological factors at the time of its construction in 1893. The foundation of the Dam was cretaceous limestone, shale and clay, which were highly jointed and faulted. Due to heavy rainfall in the catchment region, flood overtopped the Dam and the central portion collapsed completely on 7th April 1990. This resulted in the adjacent blocks, about 75 meter long being carried along the water flood about 18 meter downstream. The Austin Dam failure was mainly due to construction of the Dam on porous sedimentary rock ( Reddy, 1995). So far geological investigation of the site using traditional methodology have not yielded better results. Many projects could not stand the test of time either because proper geological considerations were not taken care off or due to faulty geological investigation. Now days, geological considerations are given due recognition in the construction of engineering projects. The traditional methodology alone is no longer followed, as the chances of error is just too much in them. The analysis of geological parameters has not only become fast but also highly accurate in modern time involving use of recent techniques. The concept behind GPS is the distance measurements between the receivers and satellites by the method of space resections. Differential GPS is required to obtain the accuracy required by many GIS data capture applications in terms of subcentimeter scale. DGPS requires the use of a base station at a known location to remove systematic error from the GPS signals. 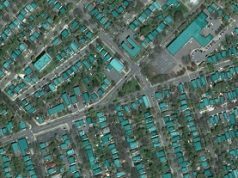 Recent GPS / GIS data collection devises have the capability to collect a wide range of GIS attribute data in addition to position of interest such as points, lines and area features. Taking into consideration, the inhospitable terrain, where most of the engineering constructions are carried out, the use of GPS supplemented by GIS and remote sensing techniques by a geologist, is highly recommended. GPS and remote sensing techniques are very useful tools for data capture. GPS in fact is highly useful to cross check the data collected by a satellite imagery analyst and the surveyor. GIS technique is basically a data analysis and display tool. GIS is a computer based system, which is an exceedingly useful tool to analyze the geomorphological features present on the surface of the earth and various spatial changes taking place on it with respect to time. In major engineering projects, such as dams, bridges, tunnels, high relief roads, data collection is a very difficult job, due to the inhospitable environment in most of the construction sites. Hence, taking into account such hazards or any unforeseen circumstance, GPS and remote sensing technologies will provide not only fast and accurate but also reliable geomorphological and geological data, which can be very successfully analysed by GIS, to give complete picture about the stability and durability of the structure. It is a well-known fact that almost all the dam sites are also the sites of hydal power plants. The generation of electricity is one of the most important objective of a dam constructions along with irrigation and flood controls. So during preparations of a geological report a geological expert must keep in mind all the criteria suitable for a hydal power sites along with dam sites. This should not be much difficult as the geotechnical considerations for the two are almost same and the success of dams itself ensure the success of a hydal power plant. Though during five-year plan much hydal power projects have been completed successfully, the advent of recent geomatic tools has added new dimension to the site suitability location analysis for a hydal project. It has been realized very long back by the earth science expert that the remote sensing and GIS has the potential of accurate analysis for a site locations. Remote sensing technique can be applied to the geological applications like lithologic mapping, lineament analyses, tectonic studies, structural mapping, geomorphic studies, ground water and mineral explorations and geothermal studies etc. Single site location analysis can often be approached with some form of ranking or scoring process, which is based upon a set of geological parameter from a landscape of potential sites. Score of area are screened or filtered out of these scores are to low to be acceptable. This process can be carried out by a number of GIS product. Topographical features are of the foremost importance in the construction of any engineering project. Mainly the topographical maps provide the information about the topography of the construction site. However, in the modern time, the use of GPS, Ariel photography and Remote sensing techniques, have added a new dimension to the topographical data capture methodology. The broad spectrum of the area is provided by satellite imageries and aerial photographs. It illustrates geomorphologic features, linear features, and rock characteristics and drainage pattern. GIS is a useful tool for automating the map production process. 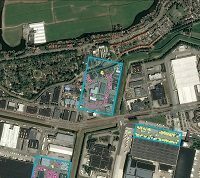 The captured data can be analysed through GIS, which later on can be represented in the form of Digital Elevation Model ( DEM). A variety of terrain features can be constructed from DEM to support terrain dependent analyses. They are usually associated with secondary terrain structures defined in terms of surface shape and drainage structure. The terrain parameters deducted from DEM can be utilised to find out the exact location of a particular project. Structural investigation of the project site is the most important consideration in the success of the structure. The stability and durability of any engineering project depends on the careful analyses of the structural parameters of the terrain, as selection of favorable site depends upon a particular structural element possessed by the rock. Most of the projects require a strong foundation on the stable rocks. Along with rock types, the site should be properly investigated for the plane of weaknesses, viz. Bedding planes, Schistosity, joints, fractures, folding, fault, fault planes, shear zones etc. Remote sensing and aerial photographs are the latest techniques in the field of geological mapping. The data gathered from these methods, supplemented by geological map will provide a complete geological information about the area. There are instances, in which, Dam failure has resulted due to negligence of the geological aspects of the terrain. St. Francis Gravity Dam (USA), 62.5 mts high and 213 mts long, was constructed in 1926 across San Francisquito Canyon. The Dam rested on a basement, which consisted of Schist, conglomerate, Sandstone and Shale formation. The contact between these heterogeneous rocks is traversed by a fault. Displacement along this fault resulted in shearing and fracturing of low strength conglomeratic rock formation and on 12 March 1928, Dam failed. This illustration clearly emphasizes the importance of geological considerations in any engineering project. During 1970s the arrival of multispectral scanner facilitated the geological and geomorphological mapping by the method of extrapolations of local observations to regional scale for correlation and comparisons of features, delineation of linear geological parameters and monitoring of dynamic geological and geomorphic features. Therefore geological and geomorphological mapping of areas with poor accessibility such as rugged and mountain terrain was now possible. Though geological map can be prepared on regional scale (1: 250000) and (1: 50000) scale in the case of detail mapping by the remote sensing technique; large scale lithological and structural map can be prepared by the use of higher resolutions aerial photography. Passive sensors are called microwave radiometers, which receive and detect the radiation emitted from various objects on the earth. In the TIR region the thermal and reflected properties vary and their intensity changes with the change in lattice structure and mineral compositions. Moreover, lithological mapping of an area can be carried out by the measurement of apparent thermal inertia (ATI) of a rock, which is different for different litho types. The ATI signature of a rock is especially affective in the nighttime as the effect of solar radiation is minimum during nighttime. For example, limestone and dolomite delineation is difficult in visible range of electromagnetic radiation, but dolomite having higher thermal inertia compared to limestone can be distinguished by nighttime thermal image. Different types of geological structures such as anticline and syncline also show warmer and cooler signatures. Similarly, structural discontinuity such as fault and fracture also show cool linear anomalies in both day and night time, hence making their delineation possible. Remote sensing data can provide quick and useful baseline information on the factors controlling the occurrence and movements of ground water. Geophysical surveys form an integral part of the site investigation for any project. This mainly includes Seismic and Electrical resistivity surveys. Seismic background of the area must be kept in mind at the planning stage itself, as it not only determines the stability, but also the design of the structure. Seismic maps can well be crosschecked with GPS, thereby minimizing any error in location of most suitable site for the construction. Geotechnologists have always shown concern towards the environment, due to various mining and ongoing engineering projects. Environmental impact assessment needs to be given due recognition in the planning stage of any project. 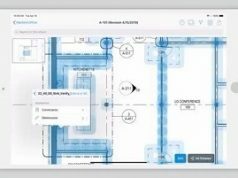 Latest Geomatic tools can be of great help in deciphering the impact on environment in post-construction phase. The success of any engineering project, no doubt, depends on its location, design, construction, operation and maintenance, but consideration to the geological aspects of the project site should be at the forefront of the planning stage. There are many cases of structural failures, where geological parameters were overlooked at the time of construction. 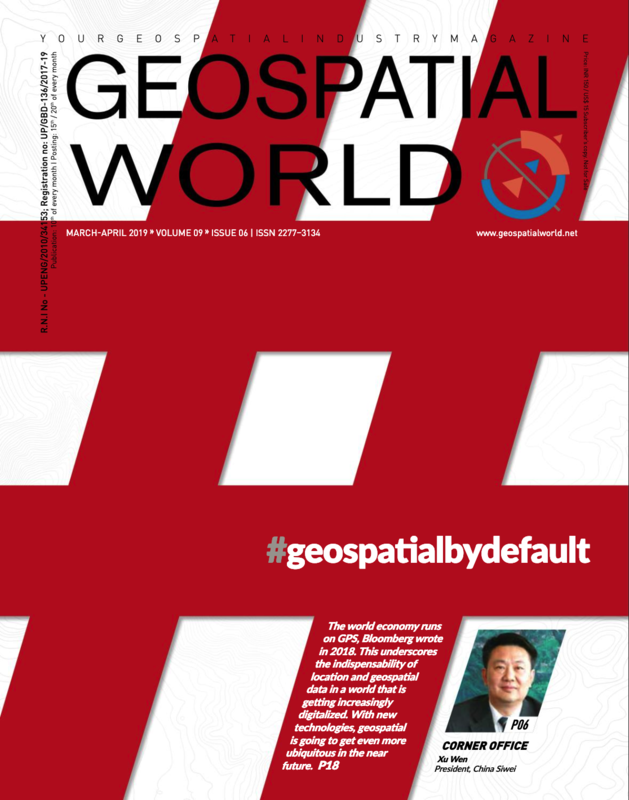 Latest geomatic tools to get fast, accurate and reliable information should supplement the study of geological factors. These type of investigations have been carried out using IRS- 1B data on Nayar river in Pauri district of UP Himalaya and Mahadevi river in Belgaun district of Karnataka. Bhattacharya, G (1996), Remote sensing for geological, geomorphological and ground water studies,16th Indian geography congress, pp.181-303. Bolstad P V, Stowe T (1994), An evaluation of DEM accuracy: Elevation,slope and aspect, Photogrametric engineering and remote sensing : 1327-32. Burwell E B, Roberts G D (1950), The geologist in the engineering organisation : application of geology to engineering practices, Berkey volume, pp. 327, G S A, Newyork. Hukku B M (1975), Bhakra Nangal project, Punjab, G S I, Engineering Geology case studies, Misc Pub. Nos. 29, pp. 11 – 13. Krishnaswami V S (1982), History and Development of engineering geology and geotechnology in India, proc. Internat. Assoc. of Eng. Geol., vol VIII, pp. 361-369. Reddy D V (1995), Engineering geology for civil engineers, Oxf & IBH Pub. Co. Pvt. Ltd., New Delhi. Singh S, Sinha J (2001), Application of GPS in geological mapping : A preliminary thought, Proc. The Asian GPS conf., New Delhi, PP. 145-147.